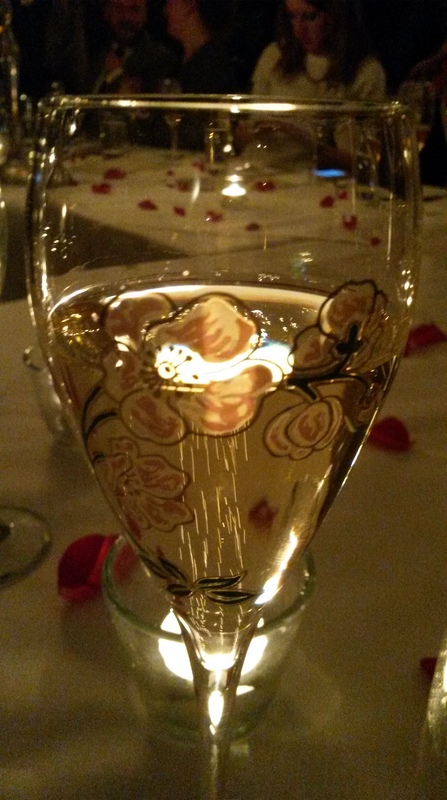 Valentine’s Day feels like the perfect day to blog about champagne. 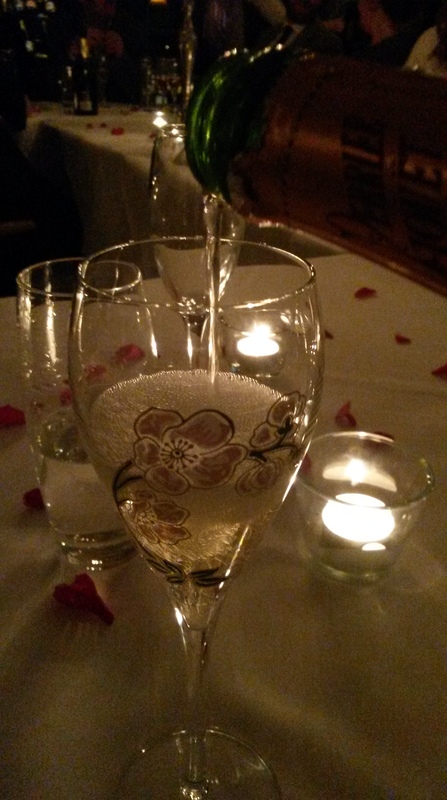 Associated with celebrations, good news and success, when you are enjoying a glass you should be feeling delightfully happy, or at least that’s what I believe! Today it’s all about Perrier-Jouët Champagne, tried and tested by myself and Mr. F&P at a fabulously indulgent, five course champagne tasting event we were invited to at Gusto in Edinburgh. I advise you pour yourself a glass of something fizzy before you delve into this post, because if you don’t feel like one now, you certainly will by the end. 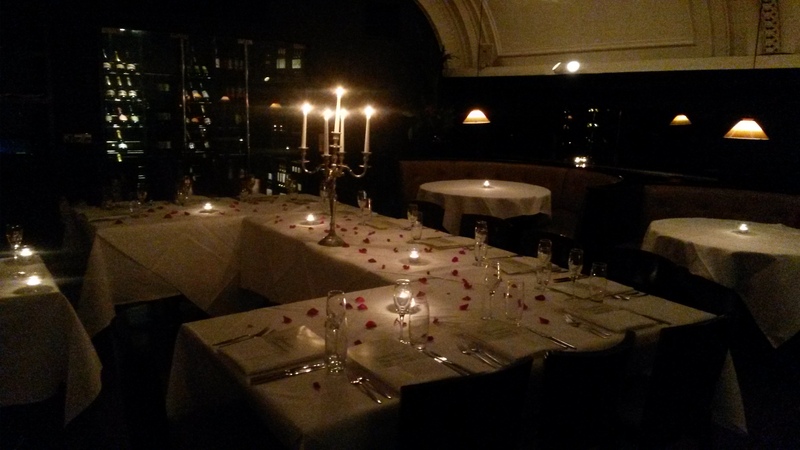 On arrival we we’re taken upstairs to the mezzanine level where there was a gorgeous set up with candles, rose petals, white table cloths and heavy cutlery – we were in for a real treat! Gusto do not typically do fine dining. 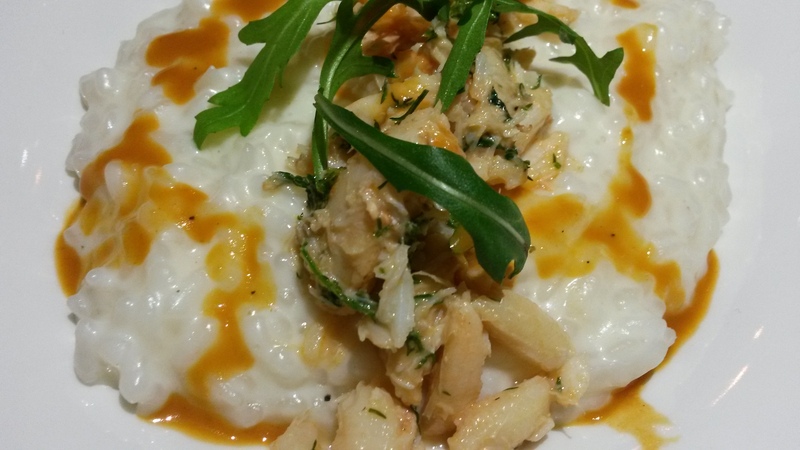 Downstairs is a relaxed setting with families, friends and couples tucking into wholesome looking Italian dishes. 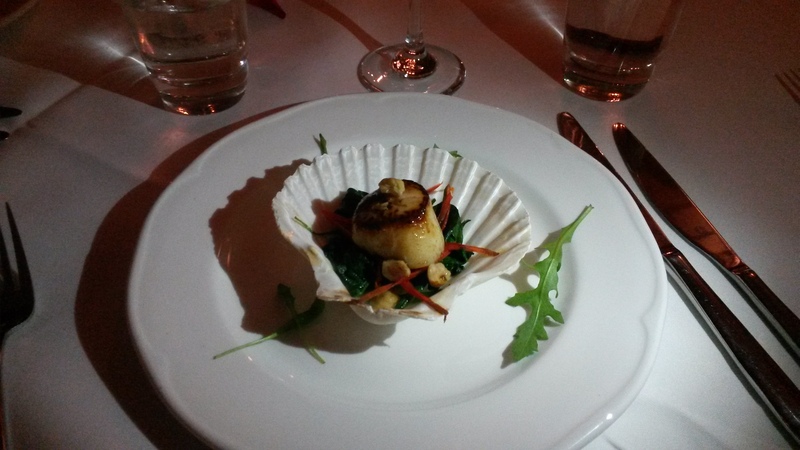 Our firm feeling by the end of the evening was that Gusto should consider doing more fine dining! The food was wonderful, but we’ll get to that in a moment. Perrier-Jouët is owned by Pernod Ricard. One of the largest champagnes houses in the world, Perrier-Jouët produce about three millions bottles of champagne a year, and are famous for their stunning glass artwork on the bottles. A little more about the artwork further down. 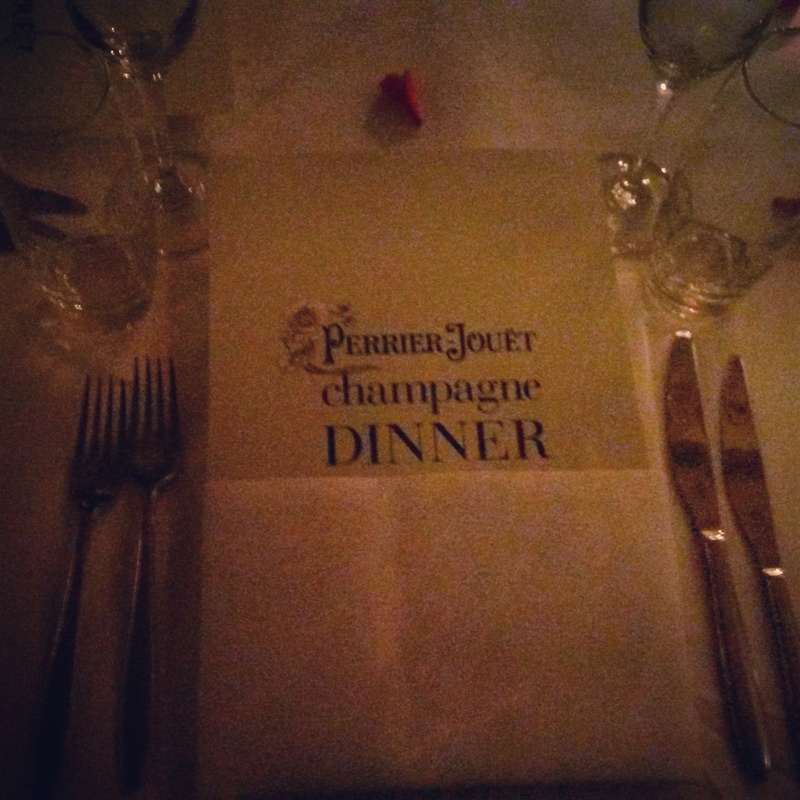 As we dined, the Perrier-Jouët Brand Ambassador, Jonathan Simms, told us a little bit about a the history of the house and talked us through the individual champagnes we were trying. 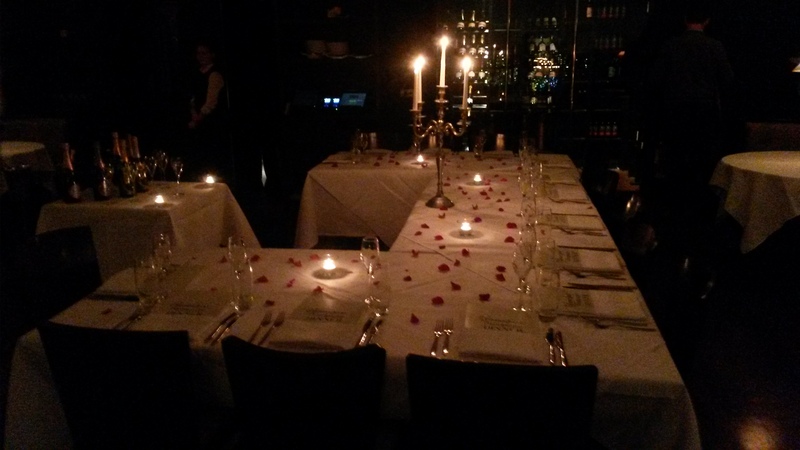 On opening the menu, there was no denying we were in for a five course feast. 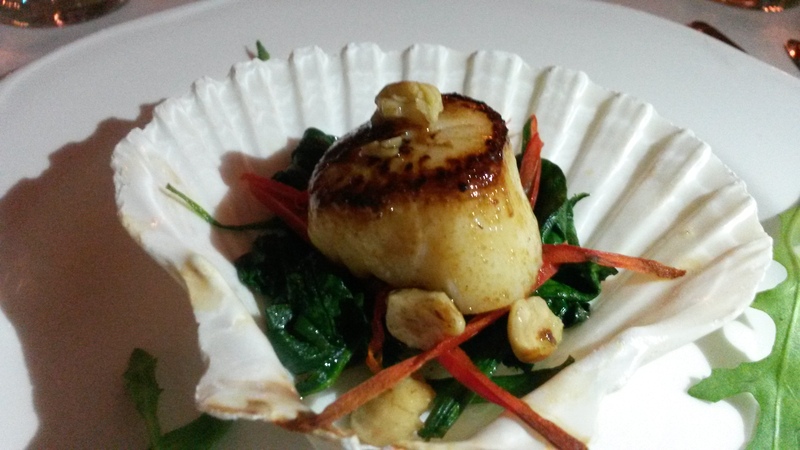 Proceedings kicked off with a glass of Perrier-Jouët Grand Brut and a seared king scallop in a hazelnut butter, with red pepper & spinach. The first glass was good baseline for what was to come, it was light and refreshing, and quite soft to drink. 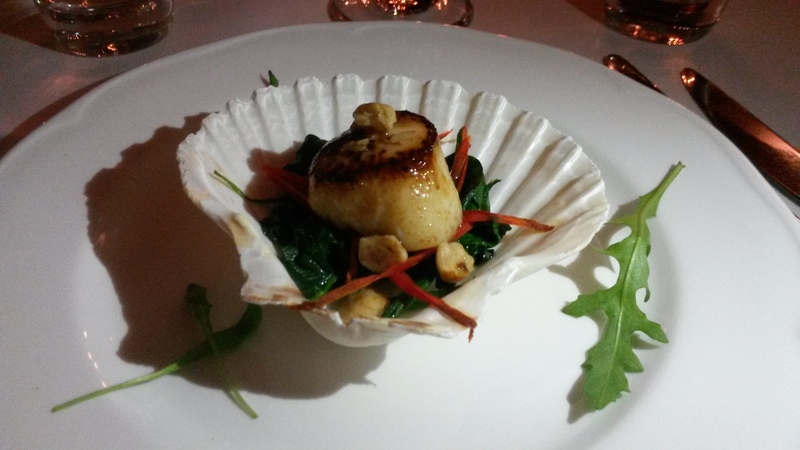 The scallop was large, juicy and seared perfectly. Jonathan assured us that champagne need not be kept for special occasions, and is very much a drink that can be throughout a meal, and not simply served with canapés. Needless to say this is an idea I can quite happily get on board with. 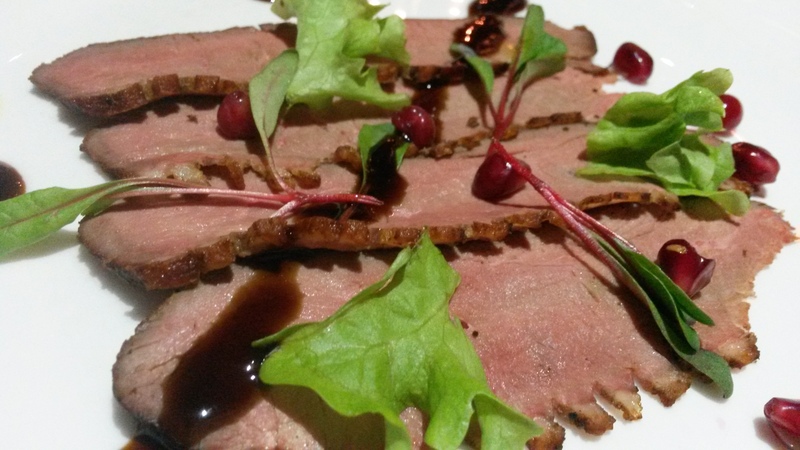 Next came an incredibly delicious plate of smoked duck carpaccio, with pomegrante and a sweet Marsala reduction, served with a glass of rose – the Perrier-Jouët Blason Rose. 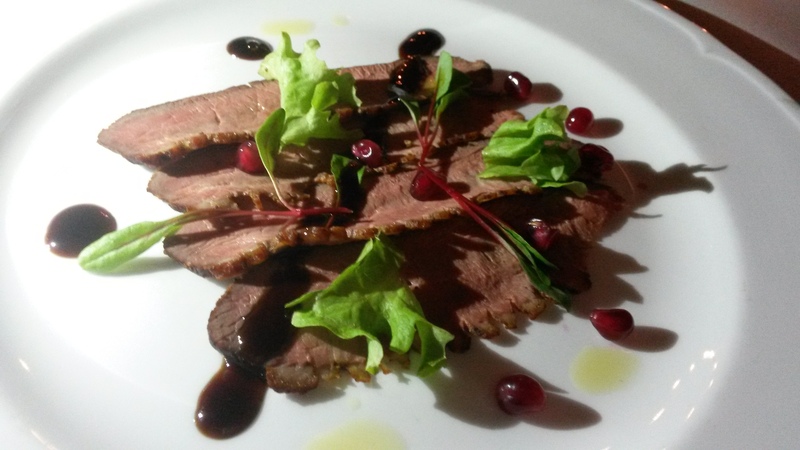 The sweetness of the rose fizz worked really nicely against the smokey duck – not a dish I had tried before, and definitely one I would opt for in the future. Again, Jonathan dispelled the myth that rose can only be enjoyed in summer time, and typically because of the colour, by females. He also pointed out it is the red grape which gives it it’s colour, hence this particular glass of fizz working with a darker meat such as duck. Next up we were introduced to the Mumm Cordon Rouge, the official champagne of Formula 1 and another member of the Pernod Ricard family. 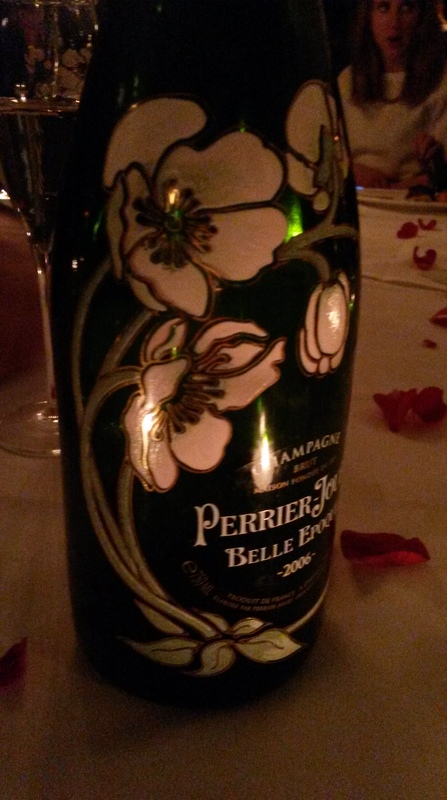 It was interesting to taste alongside the Perrier-Jouet; this champagne was much heavier, and fuller in flavour. 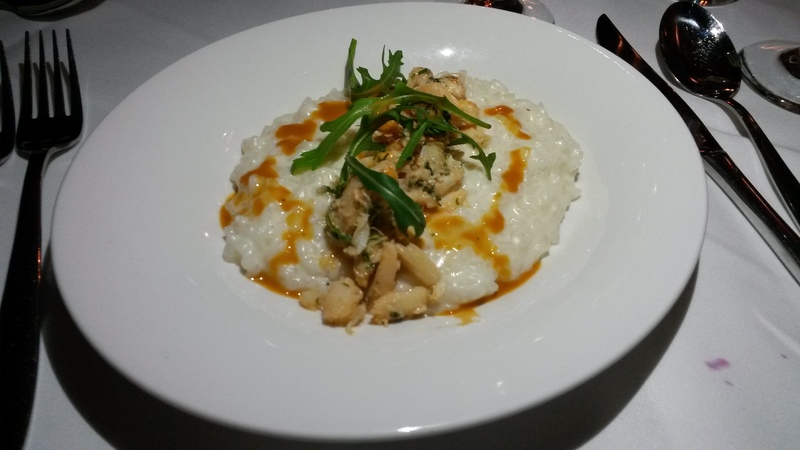 For that reason was paired with a truffle flavoured risotto with white crab meat. Mr. F&P was in heaven! We must have both enjoyed the Mumm as it was gone before I could snap! For our fourth course, they brought out the big guns. 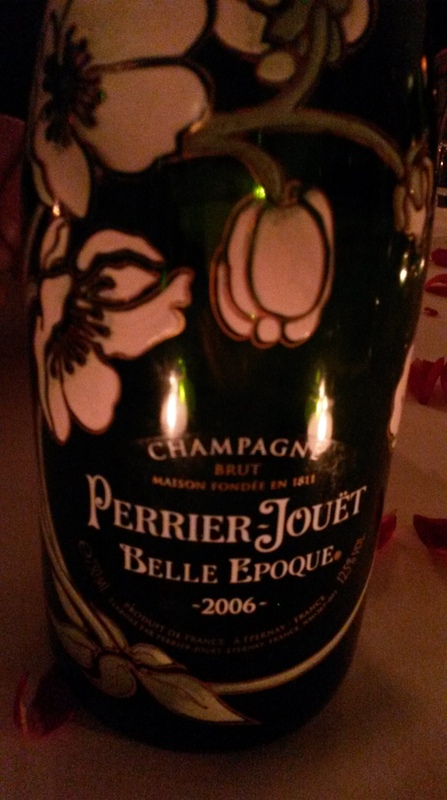 We were treated to a glass of Perrier-Jouët Belle Epoque Blanc, poured from the iconic floral bottle. The artwork was born form Art Nouveau moment in the early 1900s, when Emile Galle collaborated with the house to produce their first decorated bottle of fizz. Over the years the bottles and dainty glasses have become collectors items, and the today the Perrier-Jouët house still have a strong affiliation to the art scene, supporting young up and coming artists, sponsoring creative events and to this day crafting beautiful champagnes all in inspired by art and nature. The artwork completely encapsulates everything about the brand – champagnes known for their elegance, floral notes and delicate flavour. 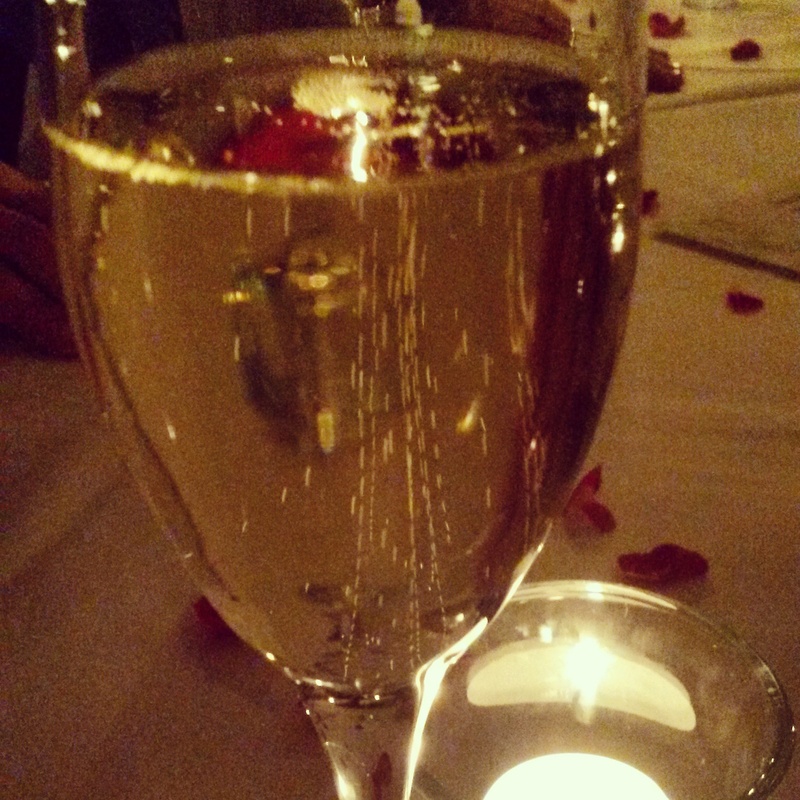 This champagne was served with one of my favourite dishes, a fillet of beef. 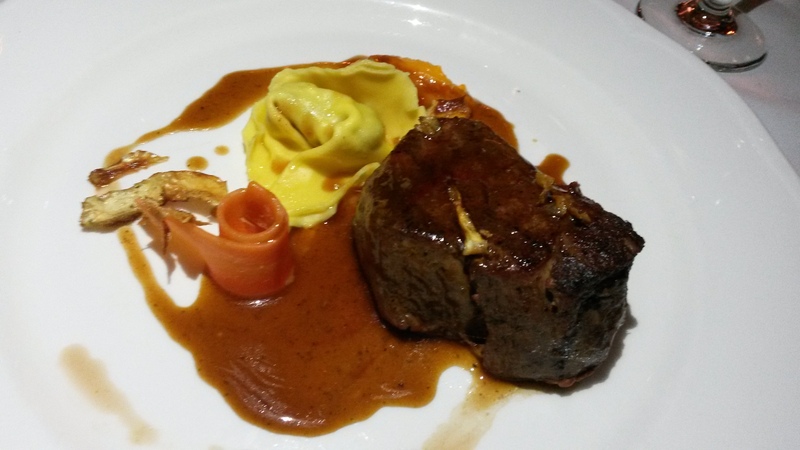 Cooked medium rare, it melted in the mouth and was served with an artichoke tortellini and carrot puree and a red wine sauce. After swooning over the glass for quite some time, I remember to actually taste it! 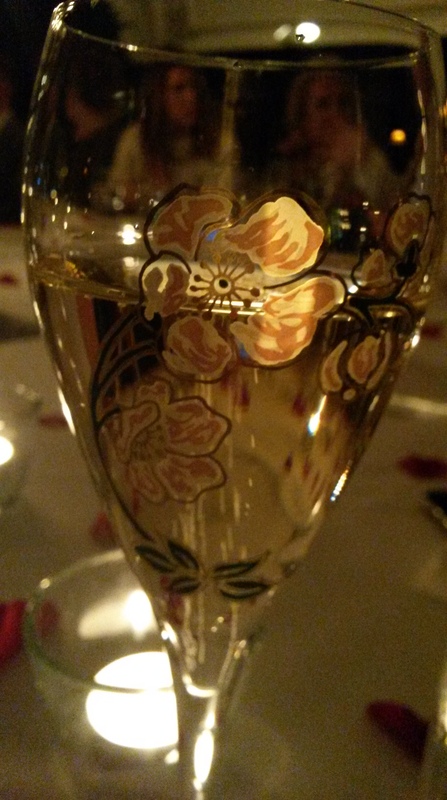 This esteemed glass of fizz did not taste a sweet as that had gone before. 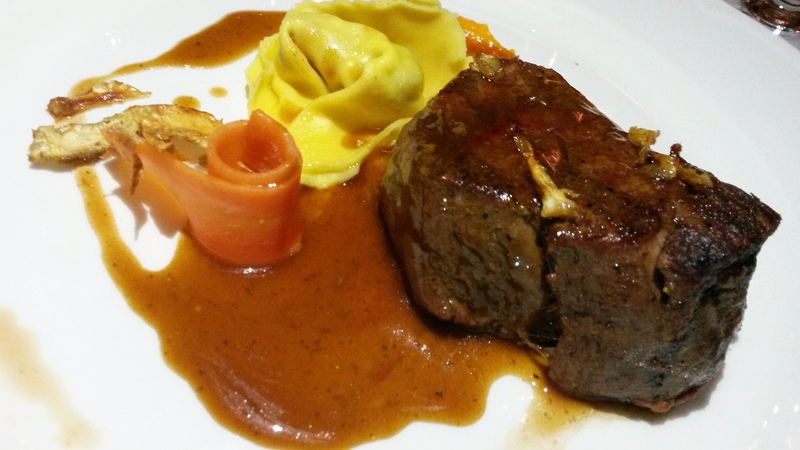 It was much drier and crisper, and to my surprise worked really well with the red wine sauce. 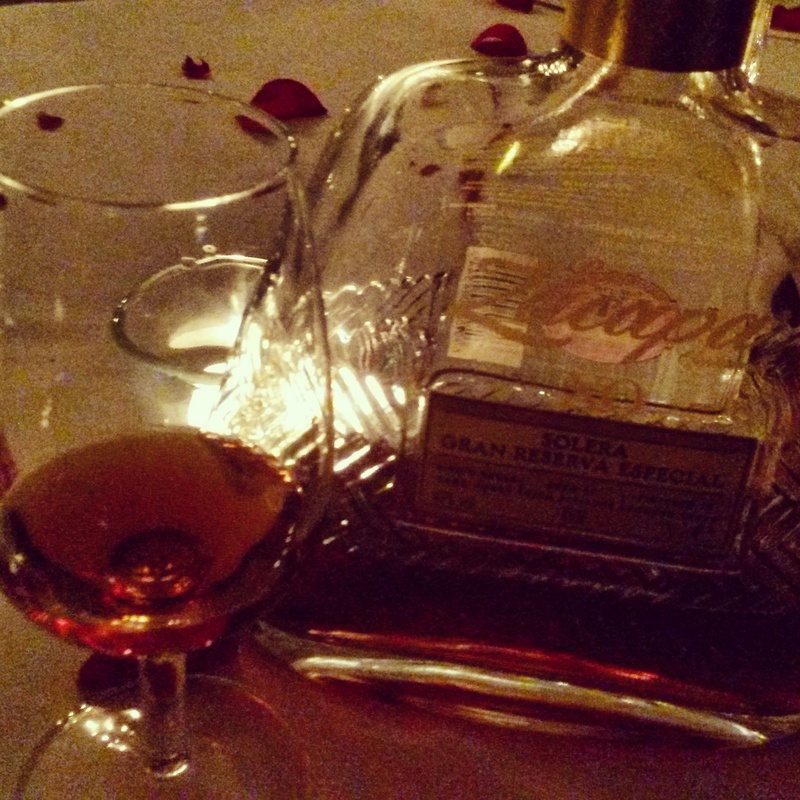 Finally onto the last course, and glass of Zacapa Rum to finish us off. I must admit that I’m not a fan of dark rum, so I won’t wax lyrical about it, however I could see the sense in serving a vanilla panna cotta with this tipple as the vanilla favours all married quite nicely. A well cooked panna cotta, light and full of vanilla, was a lovely end to a decadent five course dinner. 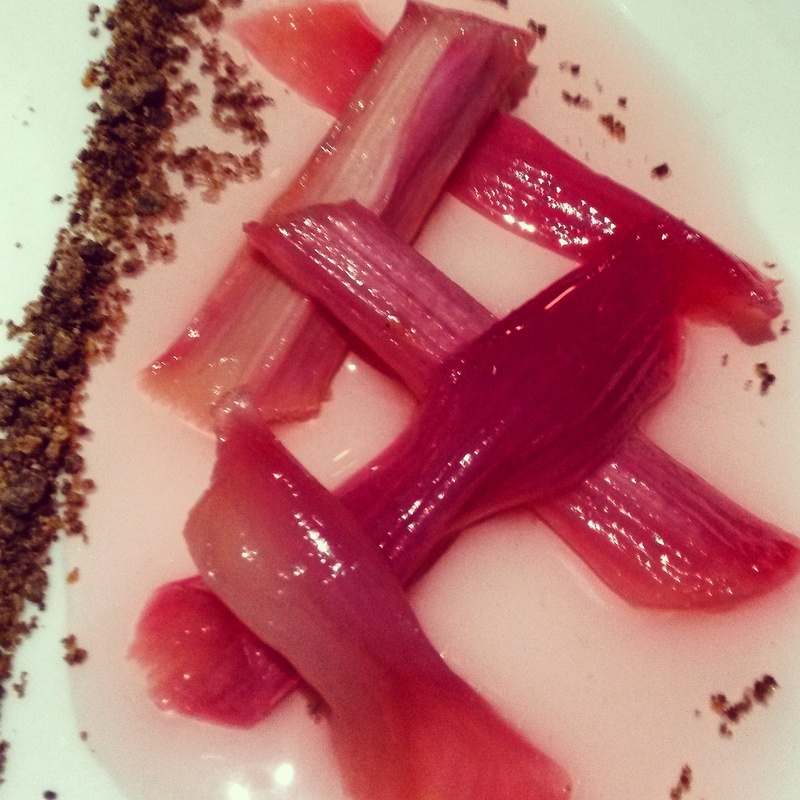 I really adored was the poached ginger rhubarb and was intrigued by the chocolate soil… if I weren’t such a chocolate lover I might think it didn’t add much, but I’m always pleased to see some chocolate with a dessert, and it added texture to an otherwise quite soft pudding. After some teas and coffees we headed home, full of fizz and feeling extremely happy. 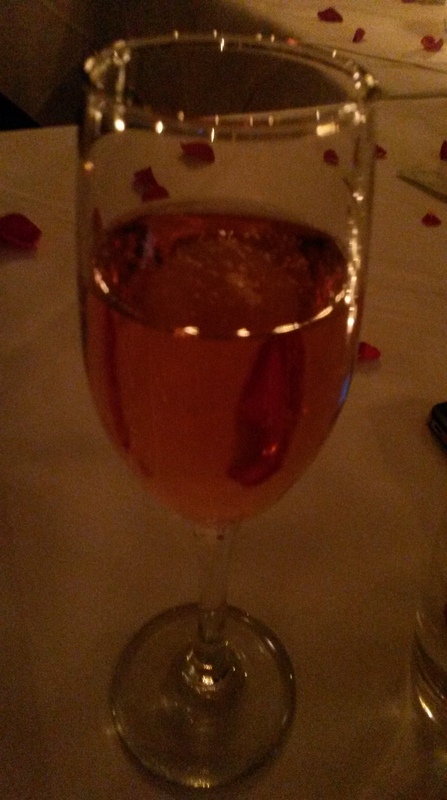 The fizz of the night for me was the Perrier-Jouet Blason Rose, but just for glassware, I also fell completely in love with the Belle Epoque Blanc. If you come across the opportunity to attend a tasting evening with Perrier-Jouet, absolutely sign up there and then. It was such an gorgeous way to spend an evening, and I learned so much about a champagne house I was previously quite unfamiliar with. As for Gusto, at the moment they are prepping for an opening in Glasgow, and I am definitely keen to return to the restaurant in Edinburgh for a more casual evening of dining. That said, now I know my Perrier-Jouëts, I’ll be turning straight to the champagne list – who said fizz can’t be for casual dining!